Eleanor was born on December 18, 1936, at the family home in Docena, AL. She graduated from Minor High School in May, 1955. She went home to be with the Lord on Wednesday, December 5, 2018, just two weeks shy of her 82nd birthday. 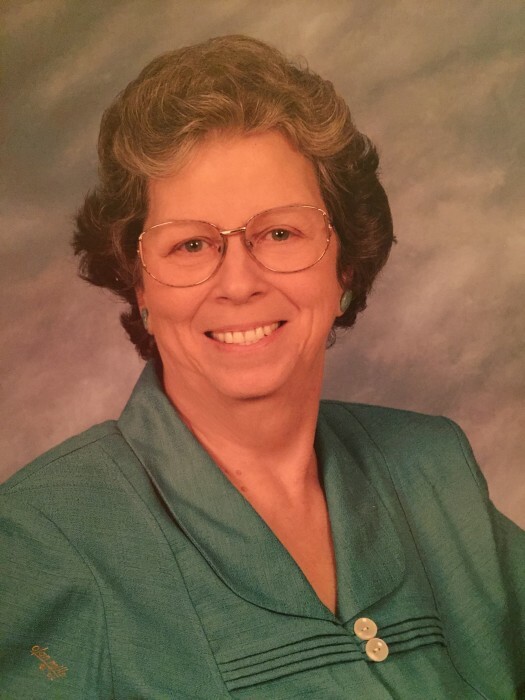 A native of Republic, Alabama, Eleanor was an active member of Republic Baptist Church for many years. She lovingly shared her servant’s heart with her church, community, family, and friends through her many gifts and talents. Eleanor was preceded in death by her husband, Neil Pledger, after 38 years, as well as her parents, Elbert and Lora Belle Sanford Perkins and brothers, Jerry Perkins and James Perkins. Eleanor is survived by her sister, Mary Etta Bates. Two sisters-in-law, Faye Pledger and Jeanette Perkins. Two daughters, Frances (Doug) Smith and Linda (Gregory) Jones. Five grandchildren: Jason (Emily) Smith, Jonathan (Erin) Smith, Crimson (Matthew) Renney, Lindsay Jones Lindsey & Ryan (Katelyn) Jones. Six great-grandchildren: Andrew, Rilynn and Avery Smith, Neil Smith, Adalynn and Makenna Renney and many nieces, nephews and friends. The family would like to thank all of the wonderful caregivers who have helped care for our beloved mother for the 10+ years that she suffered from Alzheimer’s. We have been blessed by the staff at The Terrace at Priceville Assisted Living Center; Madison Manor Nursing Home; Huntsville Hospital and the Huntsville Hospital Hospice Family Care Center through their love and compassion. Visitation will be held at Crestview Memorial Funeral Home located at 5250 Veterans Memorial Drive, Adamsville, AL 35005 on Thursday, December 6, 2018, from 6-8 PM. The funeral will be on Friday, December 7 at 3 PM with burial following at Crestview Memorial Gardens.